Ladies: what should you get for the boyfriend/husband who never seems to want anything because he's too busy skiing/snowboarding to spend any time with you? Guys: how do you avoid awkward, annoying shopping trips and spending tons of money? 2. Surfboard Rack: maybe your significant other seems to like his/her surfboards more than he/she seems to like you...maybe it's actually true! 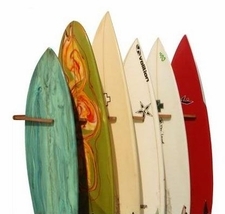 Show them that you care about the things they care about - get them this versatile surfboard rack that can store up to 6 boards and maybe you'll get noticed! 3. Bike Rack: are you that annoying couple that does everything together so much so that you have matching bikes? Believe it or not, we even have a rack for you! 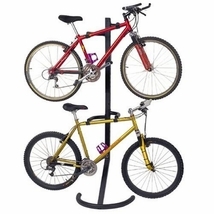 Store your matching bikes on this freestanding vertical bike rack with storage for two bikes. And stay away from the rest of us. 4. Ski Rack: getting ready to hang up your skis and settle down? 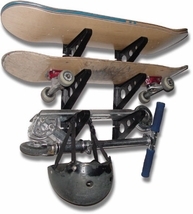 We have the rack for that; it can hold up to 6 pairs of skis. Need to let your girlfriend/boyfriend know that you want to move on? 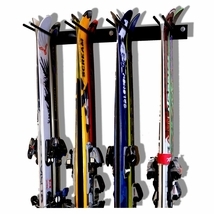 Buy yourself this ski rack and tell her/him it's from the other person you're dating. I think they call this killing two birds with one stone...you're single with a new ski rack!